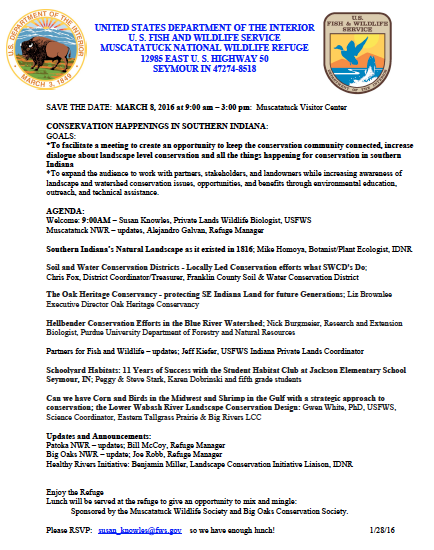 Join fellow conservationists for a day of learning and conversation at Muscatatuck National Wildlife Refuge. OHC’s Executive Director, Liz Brownlee, will be one of the day’s presenters. You can hear presentations about hellbender salamanders, local soil and water conservation, schoolyard habitats, and much more. Lunch (pizza) is free.